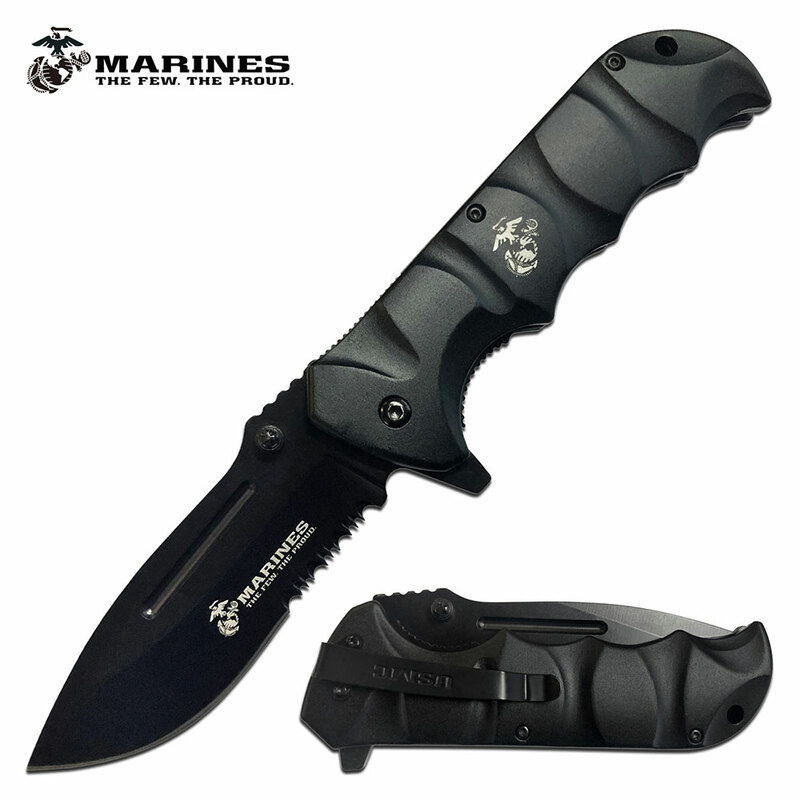 Officially licensed USMC Marines knife. This cool pocket knife is 8.75 inches long open length. The blade mechanism is spring assisted knife action with a length of 3.75 inches and blade construction is 3cr13 steel. The 5 inch anodized aluminum handle has Marines logo.